On this page you will find the key milestones and achievements in the University of Hertfordshire's history - spanning half a century of innovative higher education in Hertfordshire. The University of Hertfordshire celebrates 25 years as a University. We now have a student community of over 24,600 on UK based programmes including more than 3,800 international students, and more than 6,400 students studying our courses outside the UK. Kaspar, the robot that is changing the lives of children with autism around the UK and internationally, has been selected to be part of a special ‘Robots’ exhibition at London’s Science Museum. The Ele House is 40 years old. The Students’ Union building was named by students after its resemblance to the Elephant House at London Zoo. It later became known affectionately as the ‘Ele House’. Alumni Jody Cundy awarded an OBE for services to Swimming and Cycling, having represented Great Britain at 6 Summer Paralympics winning 7 gold medals across both events. HRH Prince Philip, The Duke of Edinburgh, returns to open the Science Building. It was The Duke’s fourth visit. He first visited in 1952 to open the Hatfield Technical College, our predecessor. Student Billy Vunipola (Business and Sport Management online) wins England Rugby Player of the Year Award. Alumni Nicki Combarro (BSc (Hons) Physiotherapy, 1996) supported Team GB athletes at the Olympic Games in Rio 2016. Nicki was also the Team England physiotherapist for the Commonwealth Games in Glasgow 2014, Delhi 2010, Melbourne 2006 and Manchester 2002, and has been selected to lead Team GB’s physiotherapists at the 2018 Winter Olympics in South Korea. Alumni Jody Cundy won gold at the 2016 Rio Paralympics. Research Themes are launched to assist in the development of Research Excellence. The six themes are Food; Global Economy; Health and Well-being; Heritage, Cultures and Communities; Information and Security, and Space. Flare celebrates 10 years of supporting budding entrepreneurs. Since its launch in 2005, flare has given over 1000 students and alumni the opportunity to develop their innovative business ideas and benefit from the invaluable support and advice on offer from the competition’s supporters. The University of Hertfordshire Shanghai Alumni Chapter was established. The Chapter now has three Alumni Ambassadors, over 250 members and has held three successful alumni events in the last year. The Hutton Hub opens its’ doors to students. This unique building brings together all student services in one location, including the Student Centre, Careers Service, Campus Pharmacy and Medical Centre, Student Union and a branch of Santander.  The University is awarded Bronze level of the Race Equality Charter. By becoming a member of the Race Equality Charter we are committing to doing all we can to tackle inequality and ensure that staff and students from all ethnic backgrounds receive equal opportunities. Alumni Jamie Stone (BSc (Hons) Social Work, 2013) wins the highly prestigious award of ‘2014 Newly Qualified Social Worker of the Year (Adults)’. Jamie went on to win Alumnus of the Year 2015 and in doing so became the youngest ever recipient. Richard Wiseman, Professor of the Public Understanding of Psychology is listed in the Independent on Sunday’s top 100 people who make Britain a better place to live. Hugh Jones, Professor of Astronomy leads the teams at Hertfordshire that conduct research into our stellar neighbourhood, looking for habitable planets in the ‘Goldilocks zone’ of nearby stars. 10% of all known planets have been discovered by Hugh and his colleagues. Jyoti Choudrie, Professor of Information Systems, Hertfordshire Business School is known as the ‘Soft’ Broadband expert with specific expertise in the adoption of online social networks for ‘silver surfers’. The Research Excellence Framework (REF) replaces the Research Assessment Exercise (RAE). The REF judges more than 90% of the University’s research to be of international quality. Work begins on the new Student Accommodation project on the College Lane Camus, over 2,500 attractive new bedrooms, made up of singles, doubles, studio flats and town houses, all built to BREEAM outstanding standards and delivering a true zero carbon project. The Secretary of State for Business, Innovation and Skills, the Rt. Hon Dr Vince Cable MP, visits the University of Hertfordshire. As part of our Diamond Jubilee celebrations two artists are commissioned to produce artwork to mark 60 years of the UH Art collection. The University’s Midwifery Team wins the Royal College of Midwives Annual Award for Excellence in Midwifery Education. Sir Roger Moore KBE received the honorary degree of Doctor of Arts in recognition of outstanding contribution to the UK film and television industry for over 50 years and, in particular, film and television production in the county of Hertfordshire. Dr Avice Hall receives an MBE for her services to higher education and to the community of St Albans. Mrs Jo Connell DL, Pro-Chancellor and Chair of the Board of Governors at the University, receives an OBE for her services to older people through her work as a trustee of Help the Aged. Five hundred Alumni who graduated between 1952 and 1992 were presented with an Associateship of the University of Hertfordshire award as a special awards ceremony which entitled them to carry the initials AUH after their name. Over six decades we have grown in size and stature – opening in 1952 with 1,500 students and now with a student population of over 28,000. Alumni Jody Cundy is awarded the Honorary Master of Science from the University. The Olympic torch travels through the University Campus on its journey from Lands End to the Olympic Stadium for the 2012 Games. The restored de Havilland Beacon, which guided pilots back to the pre-Second World War airfield, is installed at the entrance to the de Havilland campus. Professor Tim Wilson retires and Professor Quintin McKellar is appointed Vice-Chancellor of the University. Professor Wilson receives a knighthood in the Queen’s New Year Honours List. Professor McKellar receives a CBE for services to science as Principal of the Royal Veterinary College. The £10 million Law Court building opens on de Havilland Campus. The St Albans campus is closed and the Law Faculty moves into a purpose-built building on the de Havilland campus. The Law Court building is awarded Hertfordshire’s Building Futures Award for Most Sustainable Construction. The University takes third place overall in the UK Formula Student event, including first place in the Business Presentation class, and second place in the Endurance Performance class. The University opens its own Campus Pharmacy, run by staff from the School of Pharmacy. The University is named as the Times Higher Education Supplement ‘Entrepreneurial University of the Year’. Professor Tim Hitchcock (of the University’s History Department) and Professor Robert Shoemaker (University of Sheffield) are awarded the Longman History Today Trustees Award for their work on the development of the digital projects, Old Bailey Proceedings Online, and London Lives. The first Alumnus of the Year award is made to Sir Stuart Matthews, a former Aeronautical and Mechanical Engineering student who graduated in 1958. Open graves, open minds the first UK Vampire conference is held at the University. Writers and vampire ‘experts’ from around the world were brought together to explore ‘vampires and the undead in modern culture’. The ‘reading the vampire’ MA module was developed soon after. The new £38 million entertainments venue, The Forum Hertfordshire, is opened. The University is shortlisted for the Times Higher Education Supplement ‘Entrepreneurial University of the Year’ Award. The College Lane Learning Resources Centre is named the Buxton Centre, in honour of former Vice-Chancellor, Professor Neil Buxton. The School of Creative Arts signs a partnership agreement with The One Academy in Kuala Lumpur. Hertfordshire Sports Village is selected as one of seventeen training camp venues for athletes competing in the London Olympics in 2012. The University enters the first wholly electric Formula Student car in the UK Formula Student event and wins the prize for lowest carbon production. The UNESCO Chair in Information and Computer Ethics is established and held by Philosophy Professor Luciano Floridi. It is one of fourteen UNESCO Chairs in the UK. Alumni Jody Cundy is made an MBE in the New Year Honours list for his services to disability sport. The School of Nursing and Midwifery introduces a shortened work-based Midwifery Programme, a first within Midwifery education. The University receives its first nomination for the Times Higher Education ‘University of the Year’ Award. The University becomes the first of the post-1992 universities to be listed on the Shanghai Jiao Tong world research league table. The School of Creative Arts signs a partnership agreement with the British Higher School of Art and Design in Moscow. Hertfordshire Sports Village Netball Team wins the Netball Super League Grand Final. Alumni Jody Cundy broke the world record at the Beijing 2008 Paralympics. The Research Assessment Exercise (RAE) confirms History as the best performing research unit of the University’s second decade. Celebrity jeweller Alyssa Smith graduates from BA (Hons) Applied Arts with Marketing. The MacLaurin Building is officially opened, named in honour of the University’s former Chancellor, Lord MacLaurin of Knebworth. The University enters the first ever Hydrogen-Powered Formula Student Racing Car in the UK Formula Student event. The School of Film, Music and Media is established. The University BioPark is opened, offering laboratory, conference and office space for the region’s bioscience and healthcare industries, and start-up companies. The University introduces a three-year pre-registration BSc (Hons) Dietetics course with integrated work placement – the first of its kind in the East of England. Saracens Rugby Club relocates its training and administrative facilities to the University. Over 1,000 people attend the Grand Ballroom of the International Convention Centre in Shanghai for the University’s first graduation ceremony in China. This is the largest graduation ceremony ever held overseas by a UK university. The Hertfordshire Law School introduces a ‘pro-bono’ clinic for members of the public seeking legal advice. Lord Salisbury becomes Chancellor of the University upon the retirement of Lord MacLaurin. The Bedfordshire and Hertfordshire Postgraduate Medical School and the School of Pharmacy are established. The University introduces the first Postgraduate Diploma in Medical Care Practice to enable healthcare professionals to support General Practitioners. Universitybus changes its name to Uno to reflect its service to the general public as well as staff and students. A team from the University of Hertfordshire appears on the BBC television programme University Challenge. Team members Bob Chapman, Adrian Lewis, Avril Day Jones and Sarah Williamson reach the quarter finals. The University is officially certified as a Fairtrade University. The University receives the Queen’s Award for Enterprise in International Trade. Collaboration with the China University Training Center for Science-Technology (CUTC) in Beijing and Fuzhou University in Fujian Province sees the establishment of the new Fuzhou University Hertfordshire College (FUHC). On the College Lane campus, a £4.5 million Innovation Centre offering hi-tech office space for spin-out and start-up companies is opened by Alan Johnson MP, Minister for Lifelong Learning. The intention is to facilitate the development of excellence in academia, industry and business. Seven Paralympic athletes train at the Hertfordshire Sports Village in the build-up to the Athens Olympics; they bring back seven medals between them, including a bronze medal in swimming for Hatfield Swimming Club member Jody Cundy. Three Research Institutes – Health and Human Sciences, Science and Technology, and Social Sciences, Arts and Humanities are created to focus and foster research development. Professor Neil Buxton retires and Professor Tim Wilson is appointed Vice-Chancellor of the University in his place. HRH Prince Philip, Duke of Edinburgh, returns again to open the new £120 million de Havilland campus. The sites at Wall Hall, Aldenham and Balls Park, Hertford, are closed and students studying Education, Humanities and Business Studies transfer to the new campus. The £15 million Hertfordshire Sports Village complex opens on the de Havilland site. The £500,000 Automotive Engineering Centre, on the College Lane campus, is opened. A joint project led by Professor Tim Hitchcock (of the University’s History Department) and Dr Robert Shoemaker (University of Sheffield) sees the publication online of the Proceedings of the Central Criminal Court (Old Bailey) 1674–1834. The website wins two Cybrarian awards for ease of navigability and appeal to a wider audience. The College Lane campus Learning Resources Centre is awarded both the SCONUL Design Award for 2002 and the RIBAS East Spirit of Ingenuity Award 2002 for its pioneering design. 50th Anniversary of higher education in Hertfordshire. We have 21,695 students and a £106 million turnover. The University wins the contract to deliver radiography and radiotherapy courses for the Thames Valley Strategic Health Authority, making it the largest radiography provider in the UK. The de Havilland Sports and Social Club is formally opened. Dr Richard Wiseman publishes the results of the search for the world’s funniest joke. The new Commercial Enterprise Team is established incorporating the University's Business Partnership Office. Construction of the Innovation Centre begins. Construction of the de Havilland Campus continues on schedule. Brian May receives honorary Doctor of Science. The School of Engineering installed a flight simulator designed as a teaching tool to enhance understanding of key aspects of aircraft performance, stability and control. The Key Centre, a multi-faith, multicultural centre, is opened by Lady Rosalind Runcie, widow of the late Robert Runcie, former Bishop of St Albans and Archbishop of Canterbury. Studynet is introduced, giving greater access to information and support to both students and staff. The Business Partnership Office is opened as a ‘one-stop’ shop for the business and commercial community. Student Tim Edwards, studying software systems for arts and media, wins a national television competition. His animated film, The Vortex, is shown on Channel 4. The University introduces the first UK Internet-based Master of Science degree: MSc Manufacturing Management. The University achieves high ratings in the Research Assessment Exercise (RAE) for Psychology, Computer Science and Physics and demonstrates the enduring contribution of English Literature. Astronomer Patrick Moore opens the newly upgraded Bayfordbury Observatory, which includes eight optical telescopes housed in domes. The rotunda building is named the Patrick Moore Building in his honour. Work begins on the building of the new de Havilland campus at Hatfield on a site formerly occupied by British Aerospace. The University receives the Investors in PeopleAward. The University introduces a BA/BA (Hons) degree course in Early Childhood Studies for those working as nursery nurses, classroom and childcare assistants. This is the first degree course of its kind. The University establishes the Hertfordshire Intensive Care and Emergency Simulation Centre, a joint venture between the departments of Electronic Engineering and Nursing and Paramedic Science. A racing car built by students under the guidance of Automotive Programme Tutor Dr Phil Green is featured on BBC2’s Top Gear. Visiting Research Fellow Andy Goldsworthy and thirty Art and Design students install giant snowballs at fourteen sites across London as part of the ‘Snowballs in Summer’ event. The Minister for Sport, Kate Hoey, opens the new facilities for Sports Science teaching, consulting and research. The University joins with the Associate College Network in forming the Hertfordshire Higher Education Consortium. The Times Higher Education Supplement names Dr Richard Wiseman as the fourth most quoted scientist in the country, after Richard Dawkins, Raj Persaud and Lord Winstanley. Olivia de Havilland revisits the University with other members of the de Havilland family to mark the inauguration of a project to build an additional new Hatfield campus for the University. This is to be named after her cousin, Sir Geoffrey de Havilland. As it is also Olivia's 84th birthday the University delights in presenting her with a cake in the shape of an Oscar. Exemplas Ltd is established as part of the Business Link initiative to offer skills and business support to local companies. The Voyager Information Service is introduced. The University’s Psychology Department receives funding from the Higher Education Funding Council for England to establish a National Centre for Tactile Diagrams, which will help develop educational material to assist blind students, and diagrams and maps that can be read by the visually impaired. A team from the University entered a robot named Behemoth in the popular BBC2 programme 'Robot Wars'. The model was built by two students, Kane Ashton, a computer scientist, and Anthony Pritchard a model maker. Arsene Wenger receives honorary Doctor of Science. The Observatory receives a refurbishment, modernising the facilities and refreshing the site with extensive renovations. The University competes in the first ever Formula Student competition held in the UK. The team wins the prize for the Best Presented Team. A two-storey regional art gallery opens, as part of the purpose-built Faculty of Art and Design. The Rhea Martin Courtroom is formally opened. The interior of Hatfield Magistrates Court No. 1, donated by the Mid-Hertfordshire Magistrates and Hertfordshire Magistrates Court, is named in honour of the former lecturer in Law at the Polytechnic and Chair of the Hatfield Magistrates Bench. The University introduces the first BSc (Hons) Paramedic Science degree in the country. This course is commissioned by the London Ambulance Service. Students from the University’s Midwifery degree course are featured in a fly-on-the-wall documentary for Channel 5 entitled Baby School. The University’s American football team, the Hertfordshire Hurricanes, wins the UK national championship. In September the four-storey £16 million Learning Resources Centre, designed by Architects Co. Partnership, is opened. Building magazine headlines the opening with ‘One day, all libraries will be like this’. HRH Prince Philip, Duke of Edinburgh, returns to the University to unveil a statue of Sir Geoffrey de Havilland. The guests include Olivia de Havilland, the actress and cousin of Sir Geoffrey, and former employees of the de Havilland aircraft factory. Novelist and Hatfield resident Dame Barbara Cartland opens the Learning Resources Centre at Balls Park, Hertford. The Science and Technology Research Centre is opened. The Hatfield Philharmonic, conducted by Professor Howard Burrell, gives a gala performance of all five of Beethoven’s piano concertos, with John Lill at the piano, to celebrate its new partnership with UHArts. Dr W.A.J. Chapman, founder Principal of Hatfield Technical College, dies in December. The University Mace, an historic means of symbolising the corporation is commissioned from Gold and Silversmith, Martyn Pugh and is used during ceremonial events such as the annual Awards Ceremonies. Sir Ian MacLaurin is appointed Chancellor of the University. Jim McGown becomes Chair of Governors. The University’s Centre for Research in Primary and Community Care (CRIPACC) is established with initial funding support from the Department of Health. The first degree ceremony is held in Kuala Lumpur, the capital city of Malaysia, in response to the large number of students from Singapore and Malaysia. The University is the first in the UK to offer a degree-level course for registered paramedics. The Law Department takes over the former premises of the School of Art and Design at St Albans. The University signs a formal agreement with the INTI College in Malaysia, allowing the College to provide accredited university courses. The University signs a Memoranda of Co-operations with the Health Care Institute of Mikkeli in Finland, providing specialist courses in same-day care surgery nursing. Graduation ceremonies are moved to the Cathedral and Abbey Church of St Albans. The University is named ‘Top New University’ in The Times Good University Guide. The School of Art and Design moves from St Albans to the former British Aerospace Design Block, Hatfield. The University begins to develop links with China. UHArts is launched to raise the cultural profile of the University. The first event is a performance of works by Dvorak and Smetana by the Symphony Orchestra of Bohemia. Pembroke Hall, prefabricated buildings brought in to provide temporary accommodation for students in 1982, is removed. Telford Court and Asquith House are opened. Dr Richard Wiseman takes part in the country’s largest ever live experiment to test which of three media – radio, television or print – is best at deceiving an audience. The University announces its eighth School of Study - the School for Combined and Continuing Studies, later to be known as the Faculty of Interdisciplinary Studies. The School is responsible for the University’s wide range of multi-disciplinary studies, including the combined modular scheme (the University's largest honours degree scheme offering study combinations across the University portfolio) as well as the Credit Accumulation and Transfer Scheme (CATS), adult guidance and the development of NVQs with the support of the Associated Colleges. The University’s School of Health and Human Sciences introduces courses in radiography and physiotherapy. The Great Hall is renamed as The Prince Edward Hall in honour of the visit of HRH Prince Edward to commemorate the new status of the University of Hertfordshire and the University’s 40th anniversary. Redland Aggregates donates three granite rocks to mark the entrance to the University. Lt. Col. Jack Fielder, former Chair of the County Council Education Committee and a Governor of the University, formally opens the new training and conference centre named in his honour. The Right Honourable Viscount Tonypandy, Patron of the College of Radiographers, opens the new Radiography Suite named in his honour. The University merges with the Hertfordshire College of Health Care and Nursing Studies, and the Barnet College of Nursing and Midwifery. The first thirty students join the newly validated BSc (Hons) in Pre-Registration Nursing. The University signs an Inter-University Co-operation Pact with the Hogeschool Gelderland in Arnhem, Holland, for closer links in Biosciences, Business School, Social Work and Education. The University is a founder partner with Hertfordshire Training and Enterprise Council, Hertfordshire Chambers of Commerce and Industry, and Hertfordshire County Council in the county’s new single business help and advice centre in St Albans, called Business Link. The University of Hertfordshire Press is launched. The first publication is Our Heritage: The Story of the Campuses and Buildings of the University of Hertfordshire (1992) by Tony Gardner. Glaxo and the School of Natural Sciences collaborate in developing the UK’s first university-based centre into research alternatives to animal testing for new drugs. Mitsubishi and the School of Engineering collaborate on offering training courses in a newly established Electronics and Electrical Engineering Centre. The School of Humanities and Education launch the Historical Resources Project under Professor Nigel Goose with the aim of collecting and analysing data from the 1851 census in Hertfordshire. The University is the first to run its own bus service, named Universitybus and set up to address the problems of poor public transport for students and staff travelling east to west across the county. The University wins a contract with the North-West Thames Regional Health Authority to provide a BSc (Hons) degree in Physiotherapy. The first Smith Kline Beecham Fund Chair in Pharmacology is awarded to Professor Mike Parsons. The University’s Organisational Development Centre collaborates with Bucharest Polytechnic to set up a Centre for the Improvement of Management Performance. The Business School establishes a franchise with the Independent Science and Technology Institute in Athens to teach the BA degree course in Business Administration. The University of Hertfordshire Press is launched. At this time we have over 9,000 students and a turnover of £48 million. The Polytechnic forms an Associate College Network with Hertford Regional College, North Herts College, Oaklands College and West Herts College. The first courses are introduced in September 1992. Students are now able to study for University degrees by spending their first year at their local college as an access route into higher education. Combining the forces of the University and the Associate Colleges brings together a huge number of course and expertise. Professor Maureen Lahiff is appointed the Professor of Nursing and Midwifery Studies, the first female Professor at the Polytechnic. The Polytechnic wins a contract with the North-West Thames Regional Health Authority to provide degrees in Diagnostic Radiography and Radiotherapy. Private developers begin work on three buildings between the newly opened A1(M) and College Lane. They are leased by the Polytechnic and are named the Todd, Lindop and Mercer Buildings in honour of the Polytechnic’s former Visitor, Director and Chair of Governors. The Polytechnic is given corporate status, removing it from County Council control. We have 6,500 students and a £31,5 million turnover. Gordon H. Wright, former County Technical Librarian, returns from his retirement in Canada as guest of honour to attend the naming of the building in his honour, which will house the School of Health and Human Sciences. In March, Hatfield Polytechnic receives accreditation from the CNAA, allowing it to initiate and periodically review its courses within the CNAA regulations. In July, the Polytechnic becomes one of only eight polytechnics accredited for research degrees. The Polytechnic, in partnership with Writtle College, introduces the first BSc (Horticulture) course outside the university system. Nursing as a discipline is introduced to the Polytechnic as academics from Stevenage College merge their programmes into the Health and Social Work Group. Professor Neil Buxton, an economics historian and former Scottish hockey international, is appointed Director of the Polytechnic. The first Professors at the Polytechnic are appointed: Dr Bob Barrett, Dean of the School of Engineering; Dr Mike Evans, Head of Division (Chemical Sciences) School of Natural Sciences; Dr Bill Jenkins, Associate Dean (Civil Engineering) School of Engineering; Dr Derek Nowell, Associate Dean (Chemical Sciences and Schemes) School of Natural Sciences. The Polytechnic merges with the Hertfordshire College of Higher Education. The Wall Hall Mansion becomes the new home of the Faculty of Humanities and Education. The Polytechnic has 5,252 students, 824 members of staff and a turnover of £12 million. The Sports Hall on the Hatfield site is opened. Birklands Mansion is closed and the Management Centre relocates to Balls Park. Bayfordbury Mansion is handed back to the County Council. The College continues to maintain the Observatory and a Science Block on the site. The National Centre for Reprographic Documentation is changed to CIMTECH, the National Centre for Information Media and Technology. Dr John Illston PhD DSc (Eng) CEng FICE is appointed Director of the Polytechnic. He first joined the Polytechnic in 1977 as Director of Studies, Civil Engineering. Hatfield Polytechnic is the first to introduce short courses in Genetic Engineering. A free inter-site bus is introduced to connect Balls Park and Hatfield. Fares are introduced in September of this year. T G (Gurney) Mercer becomes Chair of Governors. Later the newly built administrative hub of the Polytechnic is named after him. Alan McCall is awarded the first British CNAA-approved PhD in Astronomy. Lord Todd, Nobel Laureate in Chemistry, is appointed the second Visitor to the Polytechnic. The Polytechnic takes possession of Balls Park, which offers additional space for the teaching of Business Studies and Social Sciences. Degree in Combined Studies is introduced. The Students’ Union Social Centre is opened, which soon becomes known as the ‘Elephant House’ due to its unusual design. Over 10% of the 4,000 students at the Polytechnic are from over 40 different countries. Wall Hall and Balls Park teacher training colleges merge to form the Hertfordshire College of Higher Education. The Students’ Union Oracle Bar is renamed the Vale Bar in honour of Bar Steward Vic Vale, who died during the year. The Polytechnic is reorganised into five schools of study and a Centre for Management Studies. Julia Schofield becomes the first totally blind graduate in Computer Science in the UK. Two new Halls of Residence are opened: Sidney Broad Hall, named in honour of Sidney T. Broad, County Education Officer (1957–73); and John Coales Hall, named in honour of Professor John F. Coales, founder Governor of Hatfield Technical College. The Students’ Union moves into the Hutton Building. A new bar, named The Font, is opened. The Polytechnic introduces the Common Modular Structure, which allows for a wider choice of courses taken across different departments. Norman Lindop receives a knighthood in recognition of his role as Chairman of the Committee of Directors of Polytechnics. 1972 C.P. Snow is appointed the Polytechnic’s first Visitor. BA Humanities degree is introduced. The Polytechnic occupies the former Hatfield School building. The south building is named the Hutton Building, in honour of the first headmaster of Hatfield School, Dr Kenneth Hutton; it is one of the first technical schools to be built under the provisions of the 1944 Education Act. A new Hall of Residence is opened: Chapman Hall, named in honour of Dr W.A.J. Chapman. An Honorary Fellowship is conferred upon Alan S. Butler. The Astronomical Observatory, housing a sixteen-inch multi-purpose telescope, is formally opened in the grounds of Bayfordbury Mansion. Two new Halls of Residence are opened: Butler Hall, named in honour of Alan S. Butler; and Fern Hall, named in honour of Alderman Harold Fern, first Chair of the Board of Governors of the Technical College. The first students to be awarded a BA (Hons) degree by the Polytechnic, an Honours degree in Business Studies, are D.A. Beauchamp, T.M. Berridge, D. Brameld, J.A. Britton, D.J. Bromley, M.S. Butler, G.A. Clark, P.J. Collins, R.C. Collins, J.J. Copley, M. Daglish, L.R. Geary, B.A. Hamilton, G.L.J. Hayes, R.J. Holdaway, N.G. Jones, J. Ostle, S. Powell, J.D. Robins, A.R. Russell, M.J. Sims and A.J. Thornhill. The best equipped and staffed Computer Centre in the public sector in education is formed, and, following the purchase of a DEC PDP-10 costing £256,500, the first multi-access computer system in education – linking schools, colleges and the Polytechnic – goes live. The first Fellowship of the Hatfield Polytechnic is conferred upon Dr W.A.J. Chapman, founder Principal of the College. The Wright building is named after Gordon H Wright, County Technical Librarian. A part time MSc in Computer Science degree begins. W.A. Hill OBE is appointed Chair of Governors. Hatfield College of Technology is designated as Hatfield Polytechnic. Birklands Mansion is acquired as an additional teaching site and is occupied by the Design Centre of the Department of Mechanical and Aeronautical Engineering. A part-time MSc in Control Engineering is introduced, the first postgraduate course at Hatfield to gain CNAA approval. A part-time degree in English is introduced, the first such course to gain CNAA approval in the country. The first CNAA PhD degree is awarded to a member of the Polytechnic: Dr W.G. Burrows, a member of the Department of Electrical Engineering and Physics. Two student representatives are to sit on the Board of Governors of the new Polytechnic. The Secretary of State for Education and Science, Edward Short, approves the provision of a multi-access computer system at a cost not exceeding £300,000. The first lectures in Descriptive Astronomy introduced. Hertfordshire County Council approves the use of Bayfordbury Mansion as additional teaching space for the College. The CNAA approves the introduction of a part-time Ordinary degree course in Mathematics, the first part-time course to be approved by the CNAA. This course is aimed at members of the teaching profession who wish to improve their skills. The first female research student to be awarded a PhD by the University of London, for research undertaken whilst a student in the Department of Chemistry and Biology, Hatfield College of Technology, is Dr Mary Chisholm. Applied Biology and Industrial Engineering degrees start. Norman Lindop joins the College as Principal. 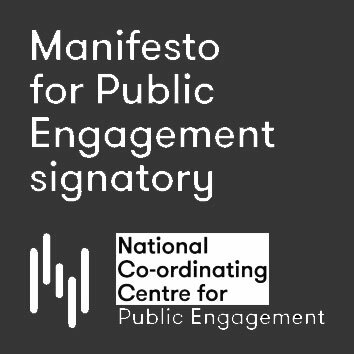 The Government White Paper ‘A Plan for Polytechnics and other Colleges’ lists Hatfield amongst proposed polytechnics to be established in England and Wales. The first female students to be awarded a BSc degree in Engineering (CNAA) by the College are Miss B.E. Murphy and Miss P.D. Baker. Seven students cross the English Channel from Dover to Calais on a specially adapted bed in order to publicise Rag Week. BA Honours Business Studies degree is approved. The NCTA is replaced by the Council for National Academic Awards (CNAA). Hatfield is recognised for 13 Honours Degree courses, including Computer Science and Civil Engineering. The first research student to be awarded a PhD by the University of London (External), for research undertaken whilst a student of the Department of Chemistry and Biology, Hatfield College of Technology, is Dr Brian Coffin. Fairshot Hall, Sandridge, becomes the College’s first Hall of Residence. The first students to be awarded a higher degree, an MSc in Chemistry, as external students of the University of London are L.B. Austin, R. Munden and Miss M. Gawluk. Miss Gawluk is the first female student to be awarded a higher degree. Miss J. Hornby and Miss G.S. Sumner are the first female students to be awarded the BSc (General) as external students of the University of London. The Robbins Report, which calls for doubling the numbers of students in higher education by 1980, is released. The first digital computer at the College is purchased – a National Elliott 803B digital computer, at a cost of £24,010. The Computer Unit within the Mathematics Department, headed by Dr R.W. Sharp as Director, is formed. Its two main functions are (1) teaching and research in Computer Science and (2) provision of a computing service to students and staff. The first students to be awarded a Diploma in Technology (Engineering) in Aeronautical Engineering are P.R. Edwards, R.G. Gawthorpe, J.R. Jones, M.D. Mant, A. Middleditch, B.G. Pearce, N.K. Richardson and D.A. Sutcliffe. The College is recognised as a Regional College, one of twenty-five Regional Colleges in England and Wales. Six students race from Land’s End to John O’ Groats on a 197cc, two-stroke engine go-kart. Hatfield Technical College is renamed Hatfield College of Technology. The College achieves recognition from the National Council for Technological Awards (NCTA) of its four-year sandwich courses leading to a Diploma in Technology in both Aeronautical and Electrical Engineering. The Mathematics Department hosts a conference on ‘Computers in Education’. It proves to be a key moment in the development of Computer Science as an academic discipline. A College team makes its first appearance in the ninety-eight-mile London to Leicester Pram Race. 1952 saw the opening of a new Technical College in Hatfield. With its roots in Britain’s pioneering aeronautical industry, the College soon established itself as an innovative force in education. John Hall is appointed as Head of the newly formed Mathematics Department. The first students to be awarded the degree of BSc (Engineering) as external students of the University of London are N. Cadoux-Hudson, J.E. Hackett, A.E. James, I.J. Langley, A. Stephenson and D.H. Wilkinson. D.H. Wilkinson is the only external candidate in that year to be awarded a University of London BSc (Eng) degree with First Class Honours. Four students from the Motor Club drive a Ransome Matador motor-mower non-stop from Edinburgh to London. Two teams enter the Daily Mail Bleriot Centenary Cross-Channel Race, from Marble Arch to the Arc de Triomphe and home again – the only college or university teams to participate. A Druine ‘Turbi’ two-seater light aircraft built by students of the T.K. Flying Group makes its maiden flight. By 1957, there are 3,847 students enrolled at Hatfield Technical College. Gordon H. Wright is employed as County Technical Librarian and begins the expansion of the Hertfordshire College Library Network. The first course on computing is provided, ‘The Application of Computers to Automation’ – a Specialist Short Course held under the auspices of the Department of Mechanical and Production Engineering. The First College Rag Day is held. The National Council for Technological Awards (NCTA) is established. Hatfield Technical College’s Dramatic Society gives its first performance: a production of Ring Round the Moon by Jean Anouilh. The College mounts its first exhibition, celebrating the England of Queen Elizabeth I and the newly crowned Queen Elizabeth II. Hatfield School opens on the campus. The architects’ plan (December 1946) names the school as Hatfield Day Technical School, but it is always called Hatfield School. The official opening ceremony is performed by HRH Prince Philip, Duke of Edinburgh. Hatfield Technical College opens. 22 members of staff are appointed prior to the start of the first academic year. The College offers HNCs - mainly in engineering but also in business, management, science, mathematics and various technical courses. The first students enrol in Hatfield Technical College – 55 full-time and sandwich, 813 part-time, 870 evening (total 1,738). Ann Copus is the very first student to enrol, opting for secretarial and language courses. Eleanor Lyen of Hong Kong is the first overseas student to enrol. She is awarded a College Certificate for her success in the Intermediate and Advanced Pitman’s RSA exam. First Governors meeting. H.E Fern is Chair of Governors. Dr W.A.J. Chapman is appointed first Principal of Hatfield Technical College. The New Towns Act, designed to meet the housing needs of a bomb-damaged London, poor-quality national housing stock and a growing population, sees an extensive building programme within Hertfordshire including the New Towns of Hatfield, Hemel Hempstead, Stevenage and Welwyn Garden City. The Deed of Gift and Conveyance resulting from Alan S. Butler’s offer is signed: ‘the County Council shall and will establish and maintain on the land hereby conveyed a college for the provision of further education (with special regard to education of a technical type) and with such provision (if any) for secondary education (of such a type as aforesaid) as the County Council may deem necessary or desirable’. The first post-war emergency women’s teacher training college is established at Wall Hall, Aldenham, and opened by R.A. Butler, Education Minister. Alan S. Butler offers to donate ninety acres of land at Roe Green, on condition it be used for further educational purposes. The offer is accepted by Hertfordshire County Council in May. Hertfordshire County Council responds to the 1944 Education Act requirement to restructure secondary education with a comprehensive plan for technical and further education within the county. Hertfordshire County Council enters into partnership with the de Havilland Aircraft Company to train fifteen- and sixteen-year-old aircraft apprentices. If you are interested in local and regional history, you may also find the Heritage Hub a good source of information. Please contact the Heritage Hub directly if you have any queries about local and regional history.